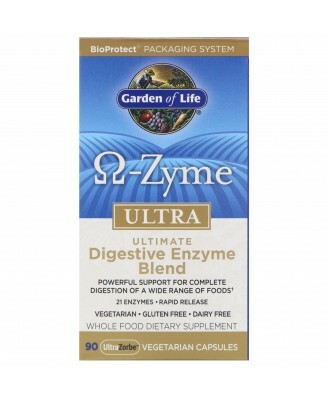 Zyme Ultra is perfectly formulated to contain a unique blend of enzymes that provides activity throughout all the various pH levels encountered in the gut. Vegetable capsule (cellulose), magnesium stearate (vegetable source).Contains no artificial ingredients. Gluten Free, Dairy Free, Whole Food Dietary Supplement. 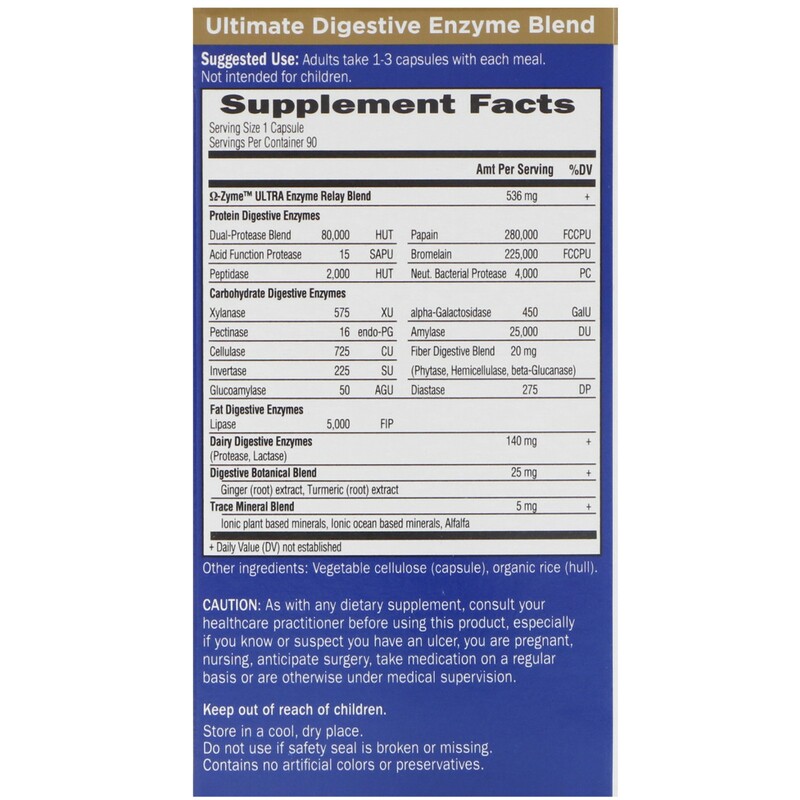 Blend Zyme Ultra "Enzyme Relay Race"
Digestive enzymes taken with food travel through a sequential change of pH environments throughout the gut. Zyme Ultra is perfectly formulated to contain a unique blend of enzymes that provides activity throughout all the various pH levels encountered in the gut. 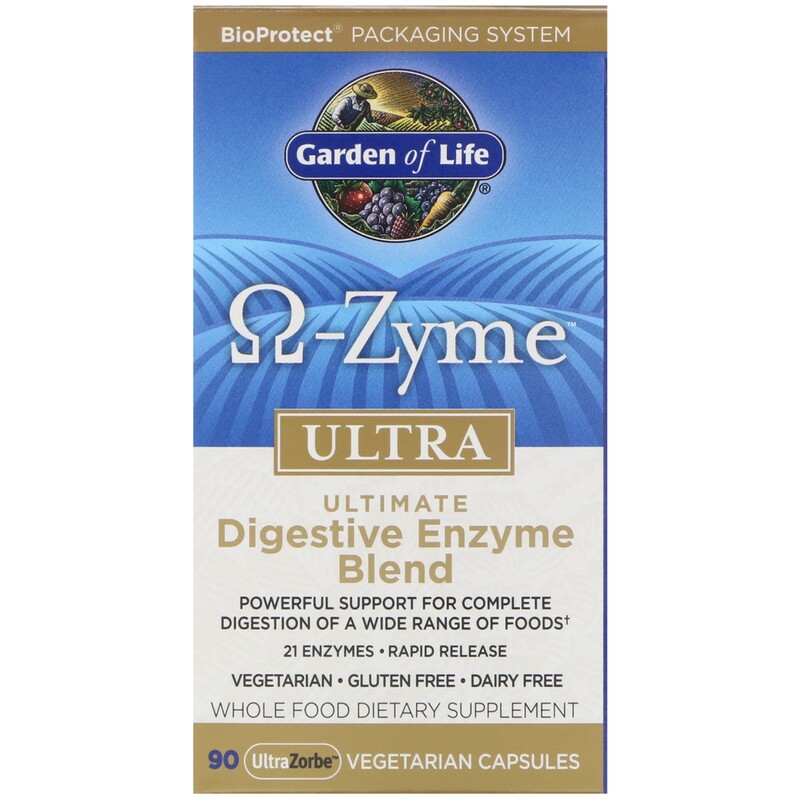 Of the 21 enzymes provided by Zyme Ultra, eleven exhibit optimal activity in the stomach (pH levels 1-5); nine exhibit optimal activity in both the stomach and the small intestine (pH levels 1-5 and 6-8); and one exhibits optimal activity in the small intestine (pH of 6-8). Adults take 1-3 capsules with each meal. Not intended for children. Caution: As with any dietary supplement, consult your healthcare practitioner before using this product, especially if you know or suspect you have an ulcer, you are pregnant, nursing, anticipate surgery, take medication or a regular basis or are otherwise under medical supervision. Store in a cool, dry place. Keep out of reach of children.